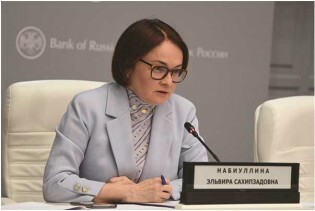 Within a few short months after taking up her post as governor of the Central Bank of Russia in 2013, Elvira Nabiullina faced a growing economic crisis brought on by plunging oil prices, geopolitical tensions, and sanctions. Sustainability is constitutive of the concept of development. Just as economist Amartya Sen has argued that there is no point in discussing the relationship between development and democracy, because democracy is constitutive of the concept of development, there is no point of trying to disentangle sustainability from the notion of development itself. In the stifling heat, Diego Matom takes the bread trays out of the oven and carefully places them on wooden shelves, happy that his business has prospered since his village in northwest Guatemala began to generate its own electricity. When former footballer George Weah became president of Liberia in 2018, media practitioners felt they had in him a democrat who would champion media freedoms. “But we were mistaken,” journalist Henry Costa told IPS. Though climate policies aim to reduce GHG emissions, they miss out on emphasizing the importance of urban planning policies Cities that have ratified the Paris Agreement and pledged to reduce carbon emissions are adopting climate action plans aimed at reducing greenhouse gas (GHG) emissions. At the risk of reiterating what should be obvious, the question of private or public ownership is distinct from the issue of competition or market forces. Despite the misleading claim that privatization promotes competition, it is competition policy, not privatization, that promotes competition. Trump´s electoral success was preceded by a rise of chauvinistic politics in most of Europe, paired with electoral triumphs of far-right candidates in several other countries. A development accompanied by revelations of corrupt leaders laundering and transferring illegally obtained money, aided by financial institutions finding the means to do so. The world seems to move away from a rule-based order to a state of affairs dominated by might and wealth. World leaders´ private business dealings thrive within a global environment where laws intended to protect human rights are becoming increasingly ineffective. Foreign policies appear to be adapted to private gains and personal vendettas. Global financial systems seem to be crafted to facilitate kleptocracy and money laundering, while repression and violence smite whistle-blowers and daring journalists. Endeavours supported by propaganda and smear campaigns orchestrated by political/financial consultants and private investigation firms. All this is made possible through complicated schemes using the internet. I returned from attending a three-hour Easter Sunday mass at the Fordham University Church around midnight New York time on April 20, 2019, when my phone rang and a colleague asked me what’s going on in Sri Lanka? I said what is going on? He said there were a series of coordinated terrorist bombings with multiple fatalities and scores of injuries in my native country. For the next four and a half hours I was on the phone trying to piece together what happened, including reaching out to Sri Lanka’s Secretary of Defence Hemasiri Fernando. Government staffer Souhayata Haidara enjoys talking about her life in a patriarchal society. Her career is a triumph of patience and perseverance, she tells Africa Renewal with a smile and a wink. Our acceptance of climate change doesn’t keep pace with our energy consumption reduction. However, the latest International Energy Agency’s (IEA’S) Global Energy and CO2 Status Report for 2018 has some good news. Journalists around the world are increasingly seeing threats of violence, detention, and even death simply for doing their job, a new press index found. “Communicate something to your partner in silence.” The pairs of strangers or acquaintances who received this instruction gesticulated, smiled, shook their heads, touched their hearts and otherwise tried to transmit a message. Following 2018 elections in Ethiopia, a record-breaking number of women now hold leadership positions in the country's government. But women still struggle to rise up the ranks in other sectors. The United Nations, as in so many other areas, gives lip service in support of Indigenous issues while lacking the political will and enforcement power over individual member states to comply with the protection of fundamental human rights for the Original Nations of Indigenous Peoples of the world. For too long, women and girls have been excluded from the playing field—literally. But now, many are paving the way in the fight against gender inequality through sports. “Unfortunately the overall nutritional panorama of Egypt does not look well,” says Dr. Sara Diana Garduno Diaz, an expert concentrating on nutrition and biology at the American University of the Middle East. Diaz’s research focuses on dietary patterns and ethnic-associated risk factors for metabolic syndrome. President Donald Trump’s decision to veto a bi-partisan Congressional resolution to end US military involvement in a devastating Saudi-led four-year conflict in Yemen-- is expected to escalate the ongoing war in the trouble-plagued region. The World Bank’s Enabling the Business of Agriculture (EBA) project, launched in 2013, has sought agricultural reforms favouring the corporate sector. EBA was initially established to support the New Alliance for Food Security and Nutrition, initiated by the G8 to promote private agricultural development in Africa. The mining industry is one of the world's most dangerous industries. Globally, the death toll is at least 14,000 workers per year. But how many lives are actually lost is something that neither trade unions, national governments or the United Nations know. In the Pacific, coconut is king. Known as the ‘tree of life’, locals make use of every part of the tree to survive – the fruit for eating, husks for fuelling fires, fronds for making multiuse baskets, and the trunk for building houses. As China has moved from a poor isolated country to a major player in the world economic and political sphere, developing countries need to learn how to engage.